This policy applies to members of the Warwickshire Beekeeper Association and its associates, and It explains how we process and store personal information about our members in relation to membership of our Association to comply with the General Protection Regulations, 2018. The Warwickshire Beekeepers Association (the WBKA) and its constituent Branches is a Charity registered in England – registration number 500276. 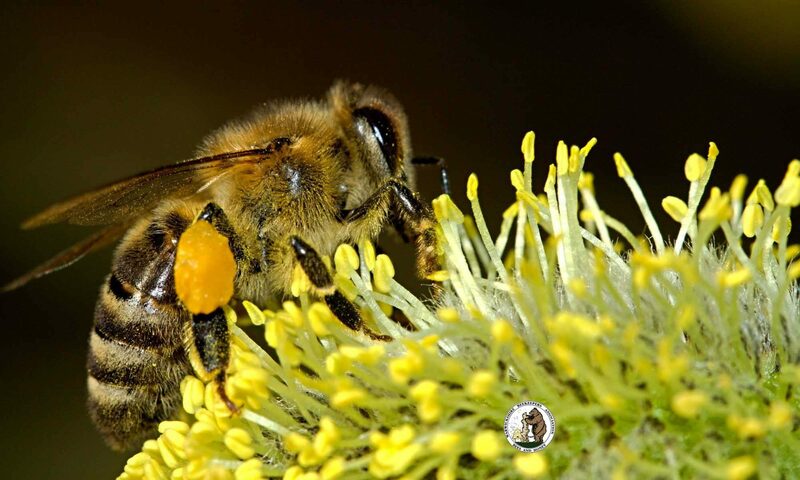 In turn, WBKA is itself a member organisation of The British Beekeepers Association (BBKA), Bee Diseases Insurance Ltd. (BDI) and acts as an agent for the collection of subscriptions for the BBKA and premiums for BDI. WBKA also has relationships with Beecraft and Beebase. 3 What type of personal information do we use? All personal information is held in strict confidence and not revealed to anyone outside WBKA unless it is necessary in relation your membership of WBKA or is otherwise expressly or implicitly authorised by you or required by applicable law. In the course of our relationship with you, we will need to collect, process, and sometimes, disclose various types of personal information for various purposes associated with your membership. We may sometimes use services which are hosted in Countries outside the EEA where the level of protection may not be as comprehensive as it is within the EEA. Where appropriate, we will have procedures in place to ensure that your personal information is adequately protected. We will endeavour to ensure that any personal information provided by you and/or held by us is as accurate, current and complete as necessary for the purposes for which we use that information. You have a right to request access to your personal information and to request a correction to it in a timely manner if you believe it is inaccurate. If you believe that your personal information is not accurate, or you require access to your personal information, you may make a request to your Branch Secretary using the contact details below. We may verify your identity to our satisfaction prior to doing so. There may be circumstances where access cannot be granted. In such cases you will be notified of the reason why it is not possible to grant access to your personal information. WBKA may collect and store your personal information in many forms (hard/soft copy, electronically, facsimile, telephone conversations/recordings, etc. ), but will only do so by lawful means and only for necessary purposes that have been disclosed to you. c) to address any issues that may arise at a later date. When your personal information is no longer required for these identified purposes, we use secure procedures to destroy, delete or erase the personal information. 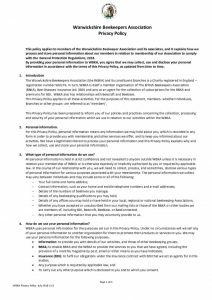 WBKA has taken steps to maintain physical, procedural and technical security for personal information. We will take appropriate technical and organisation measures to keep your information confidential and secure in accordance with our internal procedures. No personally identifiable information will be displayed on our website without your consent. We may also collect information on how users interact with our websites by using cookies and log files which may include your Internet Protocol (IP)address, browser “user-agent”, pages viewed and other activities similar activities. WBKA takes the protection of personal information seriously. We require all the other organisations who provide services in connection with our activities to comply with these obligations. By post: The Honourable Secretary of the Warwickshire Beekeepers Association, whose address will be provided by your local Branch Secretary.